If one should believe everything that the technology media is writing today, then there is no doubt that it is only a matter of time before the “Internet of Things” (IoT) will blow up. With this task in hand, it seems that the necessity of the creation of a standard communication protocol, which would make communication between devices possible, is a must. But when we look at most of the startups of these nearable tech devices, like security, developing ways of their MVP(Minimum Viable product) to be able to communicate with the competition doesn’t seem to be a priority. Now it is my guess that [inlinetweet prefix=”” tweeter=”” suffix=””]consumers don’t really care HOW real added value is achieved just as long as it is[/inlinetweet]. But I do feel that without a leap in this field, we are more likely headed towards an IoT bubble than an IoT boom. 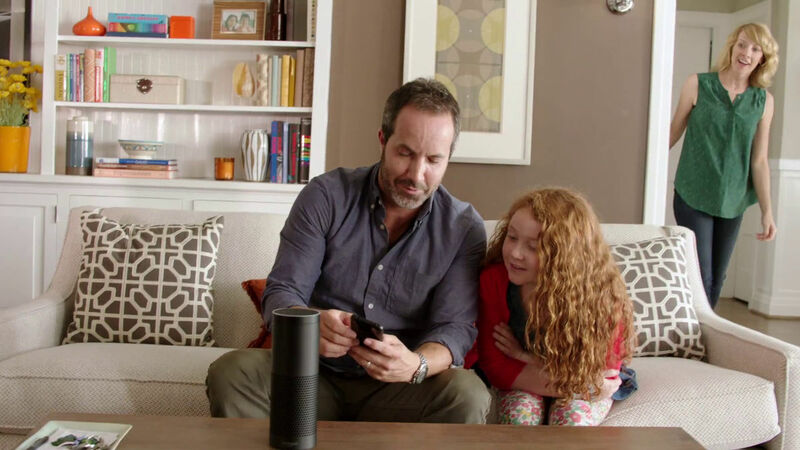 With this in mind, it was good to find out that, what arguably could be the two most popular IoT devices for the smart home on the market today, the voice activated and cloud connected Amazon Echo, to its owners a.k.a. Alexa and the Nest learning thermostat are finally dating. Battery issues left users in the cold, but a firmware reset was enough to heat things up again. The smart home devices have been available to purchase for a while now. 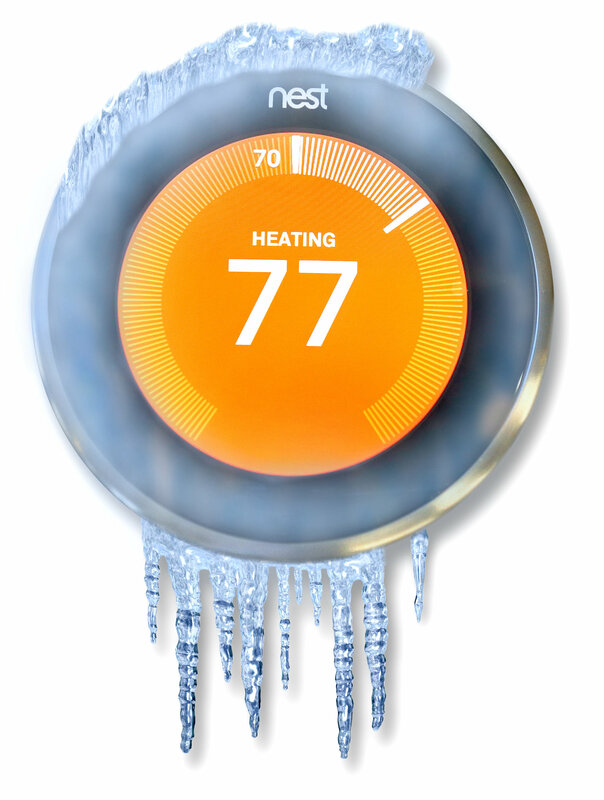 Nest thermostat is currently available in the US, Canada, the UK, Belgium, France, Ireland and the Netherlands. Acquired by Google for $3.2 billion, Nest has expanded their offering of devices to include smoke detectors and security cams. Like any other startup they have been stumbling on several glitches and battery issues in the last year, leaving people out in the cold, but that being said the company is still selling tens of thousands products a month. With market research showing that 68 million homes in Europe and North America will be smart by 2019, it makes sense to conclude consumers will start embracing smart thermostats. If not for energy savings, than for increased convenience and comfort. And then there is the other smart home superstar the Amazon Echo. Besides controlling other smart home devices by voice control, this 23.5 cm(9.25-inch) tall cylinder speaker with 7 microphones on board is capable of playing your favorite music, setting alarms, making to-do lists, stream podcasts and providing weather, traffic and other information. By using your past voice commands(that will be sent to the cloud) Echo is learning and improving to give better response to future questions offering better user experience. Now if one thinks Amazon and voice control it is easy to imagine the horror of your 10 year old ordering a truck full of toys just by asking “Alexa” but it actually does require some manual intervention to complete the purchase of any merchandise. Although still early days, it looks like a browser-based version of Amazon’s Echo speaker has been designed to make Alexa a hardware-free experience. With this update Amazon hopes to encourage developers to code for the platform. The change is thanks to Echosim.io which recreates the Echo hardware in virtual form, powered by the very same cloud-based processing that those with the physical device get to engage with. However, interoperability between these two lovers isn’t being achieved by the devices independently. Alexa and Nest are in need of a dating consultant, which is learning thermostat is the software solution called IFTTT, which is an abbreviation of “If This Then That”. IFTTT is a free app that allows users to create chains of simple conditional statements, called “recipes”. Basically, these recipes are ways to automate different tasks. In the case of Nest communicating with Alexa it is easy to imagine how you can control your thermostat with voice commands given to Amazon Echo. The user experience between these two smart home gadgets does deserve some more user experience designing because for each degree up or down you would have to set up a separate recipe on IFTTT, which does take some preparation and patience. But once the set up is done its pretty damn cool. I believe the impact of nearable technologies have already proven itself to geeks, other early adopters and those who choose to surround themselves with it. The ones who choose to be without, by being surrounded with disconnected devices or even non-electrical objects have it easy today. But this might change in a couple of years. I would not be surprised if around 2025 [inlinetweet prefix=”” tweeter=”” suffix=””] we head towards a situation where it will be hard to find any non-electrical devices[/inlinetweet], or even better harder to find devices that are not connected to the internet.